A poignant picture book that explores how a child and her father rebuild their lives after the loss of her mother. It's handy having a dad who can fix just about anything. A young girl believes her father is the king of fixing things, but following the death of her mother, she discovers that broken hearts are not as easy to repair as damaged toys and cracked teapots. Together, she and her father find a way to glue back the pieces of their lives. The Fix-It Man is a poignant picture book that explores how a child can cope with the loss of a parent (in this case, the young girl's mother). Repairing damaged emotions is not as straightforward as gluing a broken kite back together or sewing up a torn toy. And grief affects all members of a family, with each responding in their own way to the loss. By sticking with her father, the young girl is able to strengthen her resilience and ability to cope with one of life's harshest experiences. The author was encouraged to seek publication for this story after receiving the endorsement of several grief counsellors who work with children and who recognised the need for a book such as this. 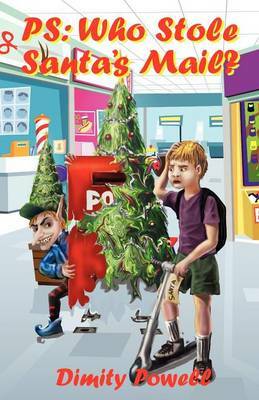 Buy The Fix-It Man by Dimity Powell from Australia's Online Independent Bookstore, Boomerang Books. 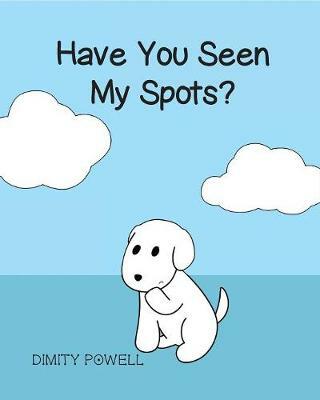 Dimity Powell writes for children because she would secretly love to be one again. To support this fantasy she produces sometimes silly, sometimes sad, always sparkly stories for school magazines, anthologies, online apps as creative digital content, and as junior novels and picture books. Many of her stories have been shortlisted or won awards including her digital narrative, The Chapel of Unlove for the Story City App, shortlisted for the Western Australian Premier's Book Awards 2016. Two of her picture books feature on the Kindergo App and appear as part of Virgin Australia's Inflight Children's Entertainment Program. PS Who Stole Santa's Mail? filled the Christmas stockings of children everywhere for the first time in 2012. 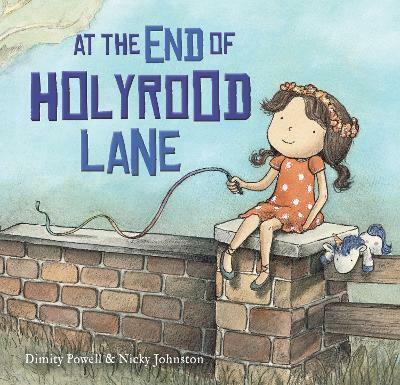 At the End of Holyrood Lane is her second picture book with EK Books. The Fix-It Man, also illustrated by Nicky Johnston, debuted in 2017. Dimity is also Managing Editor of highly respected children's literature website Kids' Book Review, and a Books in Homes role model. Her past adventures include skiing the French Alps, Kombiing around a quarter of Australia, spotting manatees in Florida, and getting lost in the Bermuda Triangle. She's tried a few grown-up jobs, but thinks it's more fun writing for children now because she believes that great stories - like ice-cream - are life essentials. One day, she would love to travel to Lapland and meet Santa for real. Nicky Johnston is a primary educator, speaker and children's book author and illustrator. Passionate about raising awareness of the importance of children's emotional well-being, Nicky has written books to help children deal with anxiety and develop resilience. She is an experienced public speaker and presents at parent forums, seminars and conferences. Her illustration style is described as whimsical, playful, narrative, emotive and dreamy. She works mainly in watercolor, ink and pencil. She also produces work digitally using a variety of illustration software. Nicky's first children's book Go Away, Mr Worrythoughts! was adapted into a theatrical production. For five years the show has been performed at primary schools throughout Victoria, educating children dealing with anxiety and helping to develop a healthy resilience. For four years, Nicky was the Creative Director of 52-week Illustration Challenge Facebook group. This online Illustration Challenge inspires a community of artists and illustrators to create artwork using weekly theme prompts while providing a safe and encouraging environment for personal artistic development. PS: Who Stole Santa's Mail?